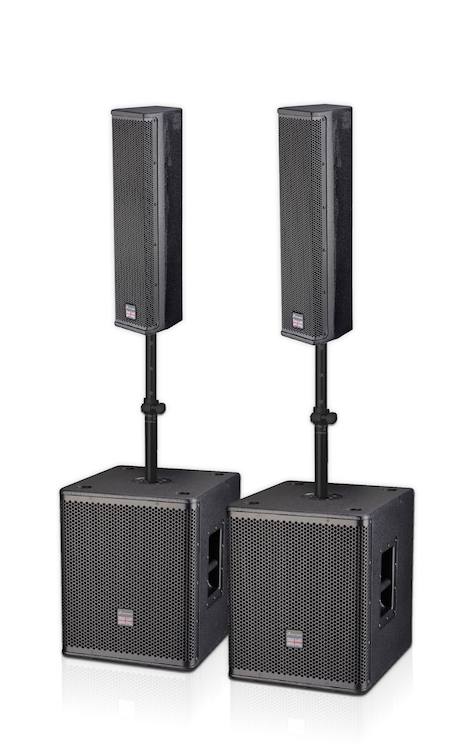 The Tower column speaker system, is a highly developed compact column line array system. 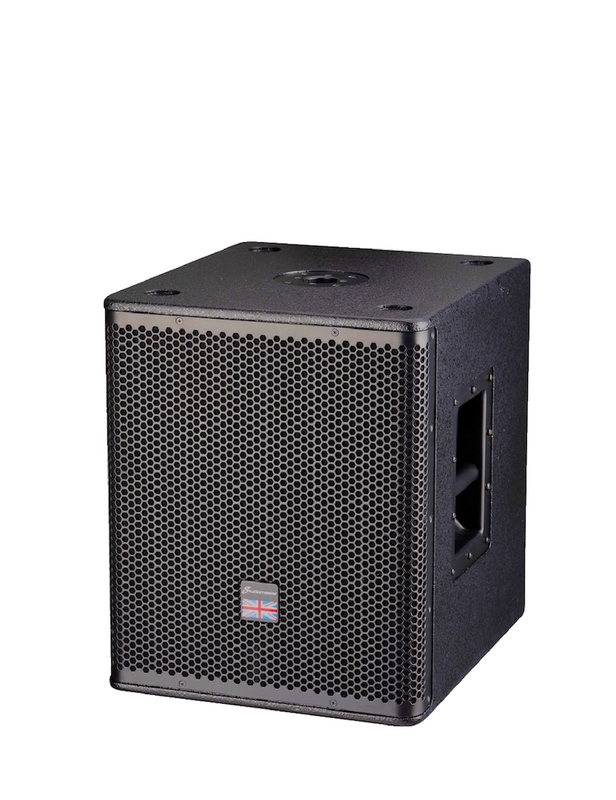 Available in several different configurations from the ultra compact 8×2″ array with a 12″ sub, to a high power 6×3″ array paired with a 12″ sub cabinet. 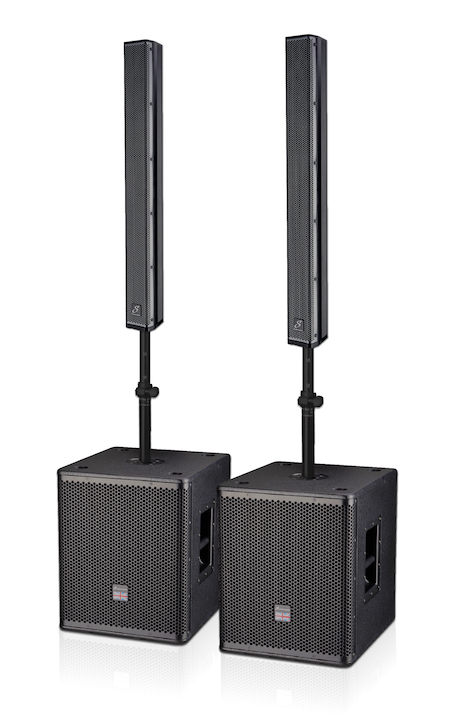 The HF column speakers are passive, with all amplification in the sub cabinets. 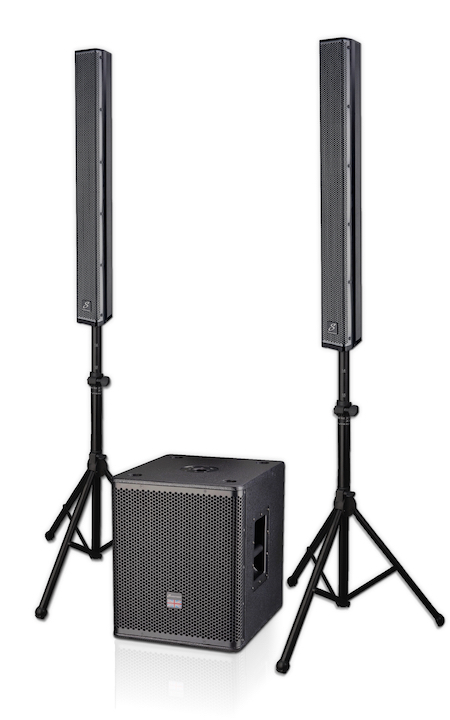 The subs have multi-channel amplifiers, with DSP speaker processing technology built in, so you will be able to tune your speaker to the perfect sound, whatever venue you performing in. 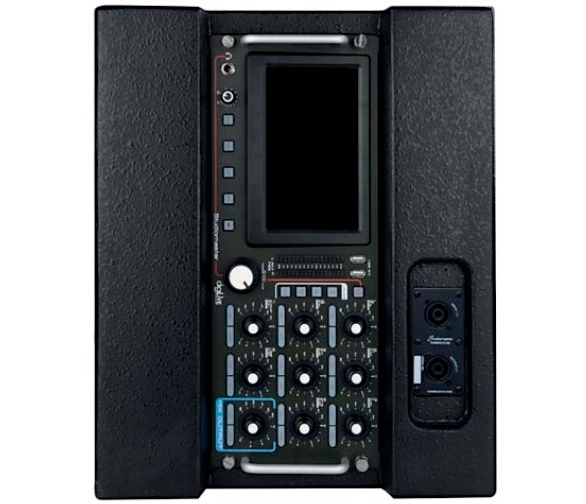 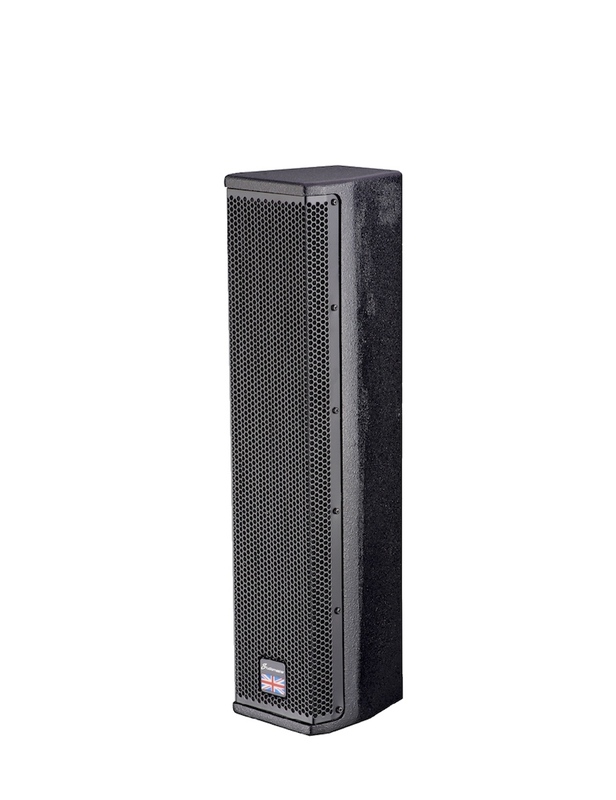 There is also a Digital mixing option, the Tower 1216D. 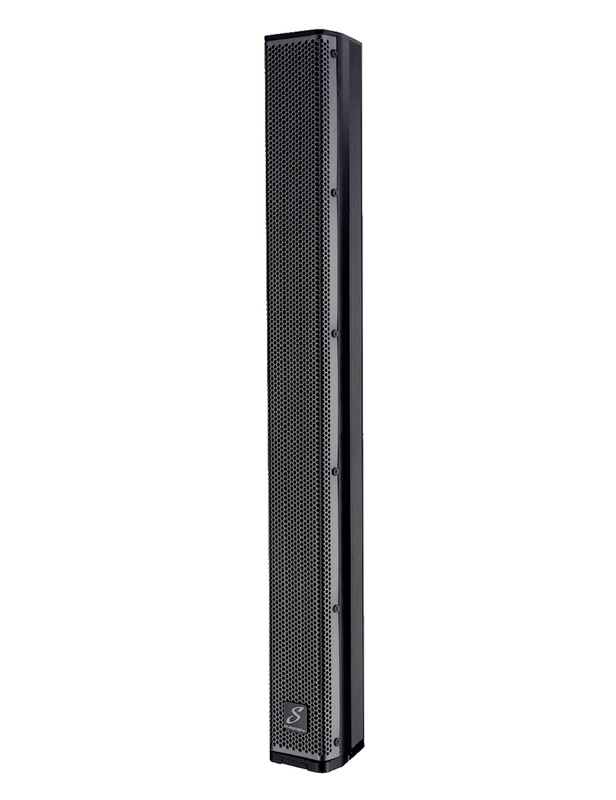 The unique Studiomaster Tower 1216D is the first portable column speaker system to include a fully fledged digital mixing system. 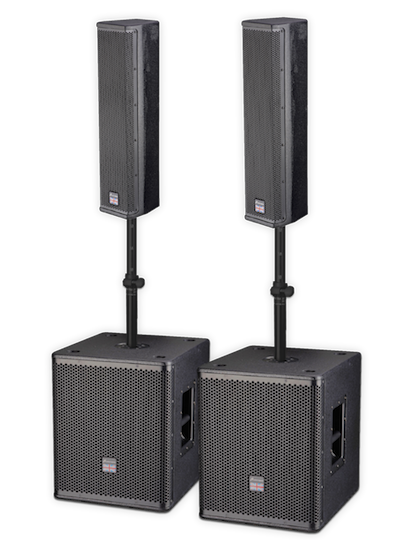 Based on the DigiLive 16RS digital mixer, the user can control the full operation of the digital column speaker system via the 7″ touch screen or via the ios app, allowing a complete and simple set-up to be achieved from anywhere in your venue. 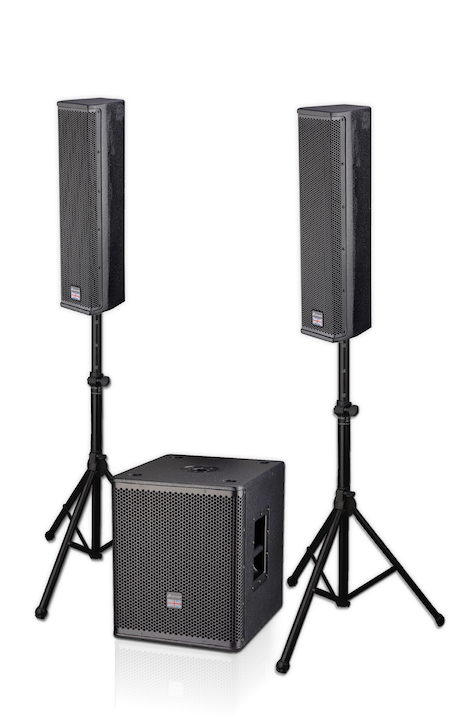 This is a High power versatile system, ideal for performances where high quality and high power is required, and space and weight restrictions mean you need an ultra compact system.